Love a cappella music and ever wish you could work with some of the biggest names in the game? Well, here's your shot. Assuming you're between the ages of 6-14. 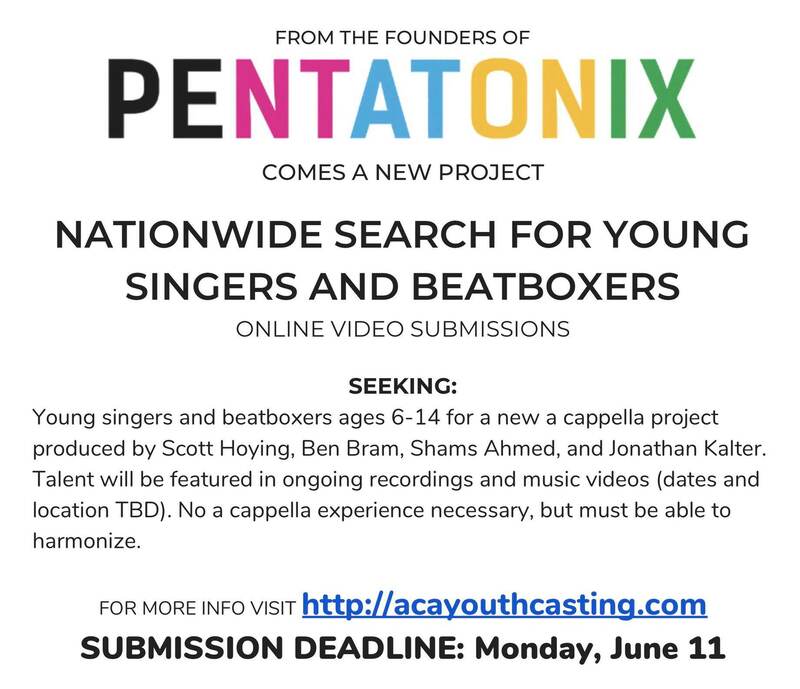 The creative forces behind superstar a cappella group Pentatonix are searching for the next generation of talented aca-singers. That's right, Ben Bram, the creative force behind Pentatonix's stunning arrangements, and Scott Hoying, one of the group's jaw-dropping vocalists are producing a brand new project for up and coming singers. No official title has been attached to the project, but what we do know is that those selected for the project will have the opportunity to work with the two masterminds and appear in both a cappella recordings and music videos. The project is searching for three different voice types: upper voices, bass singers and a beatboxer. Upper voices may consist of sopranos, altos or tenors with no gender restrictions attached. Those looking to apply will have to prepare a video recording showcasing their skills and submit the finished product to YouTube, Vimeo or a Goolge Drive link. The deadline to apply is June 11th, so act quick.